Is Your Website Really Mobile-Friendly? When Google announced its algorithm change in April that would favor mobile-friendly websites in search, a lot of people in the industry coined it "Mobilegeddon". The thinking of course was that at that point if you didn't have a mobile-friendly website it might mean the end for you in search results. 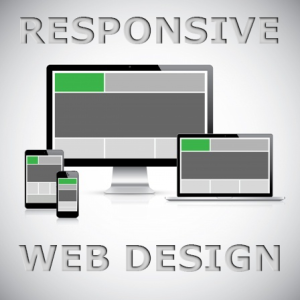 That reaction proved to be a bit overblown (as are many reactions to Google algorithm updates), but it is true that now more than ever it's important to use a responsive web design. But is your website truly mobile-friendly? Here's the thing. When Google looks at a website to determine it's mobile-friendliness, it's mainly looking at how the site renders on a phone. There are even sites that help you check whether your site "passes" this test based on Google's criteria. Even if your site passes, though, it doesn't necessarily mean the site is truly mobile-friendly. Here's why. If your site passes the Google mobile test, it means that it conforms to certain criteria for display on smartphones. Generally speaking, this "pass" means that your site works well on the most common smartphone screen resolutions. But this test largely leaves out how it displays on tablets or even smaller resolution laptops. That little issue can allow for some pretty embarrassing design glitches. We've seen a few sites recently, for example, that seemed mobile-friendly until we viewed them on the iPad. Graphical menu elements overlapped each other, and clickable elements that normally display alongside the page content instead overlapped a paragraph of text so it was unreadable. With how popular tablets have become for web browsing at home and while on the go, this created an embarrassing experience for that site. In cases like that it's not simply an issue of it looking bad and readers drawing conclusions from that, but rather that the poor design actually made navigation of the site difficult or impossible. How long do you figure the average user would click and try to get somewhere before saying forget it and leaving? Even if your website slims its content down appropriately on all devices and is truly mobile-friendly, that doesn't guarantee the optimal experience. Just like in writing there's a difference between merely being grammatically correct or also being interesting, in responsive design there's a difference between literally responsive and mobile optimized. For a theme that is merely responsive, the elements will rearrange themselves via some rough criteria to fit the screen size. This is generally easy to read and doesn't create functional problems like mentioned above. But simply rearranging the content found on the full size site may not always be ideal for phone and tablet users. An optimized responsive theme may incorporate different looks and design elements altogether for various screen sizes, or it may even leave certain bits out. For example, a site may hide its slider in smartphone view and replace it with a different element. It may serve better for a call to action on a small screen. It might be true for portrait mode on an iPad as well, but the iPad's landscape mode still incorporates some of the full size elements like the slider. You can call touches like that mobile optimized because each variation of the site is customized to deliver the best experience for that particular screen size. This alleviates the concern for the issues mentioned above where not all mobile devices display properly. design|One|web > Frequently Asked Questions > Is Your Website Really Mobile-Friendly?